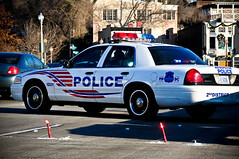 It’s always hard to tell if the coverage of crime like this shows crime is increasing or if crime is just getting more coverage, but this combined with my multiple direct dealings with DC crime (as a witness and victim, not as a suspect or…doer) has certainly made me very concerned lately. Was that NoMa shooting in front of the Harris Teeter? Thanks Vince Gray from bringing us together. ! Once city! One victim!